Combine wellbeing, beauty and your environment with Absolue rich cream refill, an opportunity to reuse whilst indulging in premium skincare by minimizing waste NEW Absolue Rich cream is infused with Grand Rose Extract 3 roses: Lancome Rose ™, Centifolia Rose and Rose Damascena. This NEW Absolue Rich Cream helps promote skin surface cell renewal and leaves skin feeling softer, more supple and comfortable. 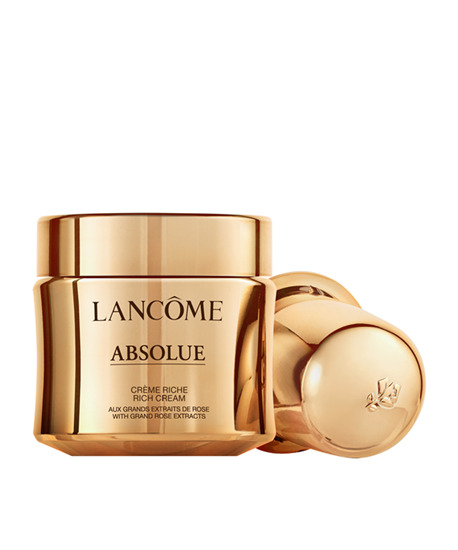 Use Absolue Rich cream day and night on a perfectly cleansed face, by applying the formula over your face and neck using your fingertips, in outward motions.